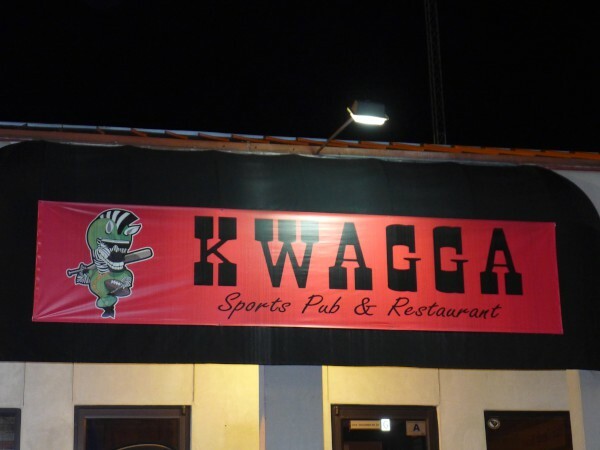 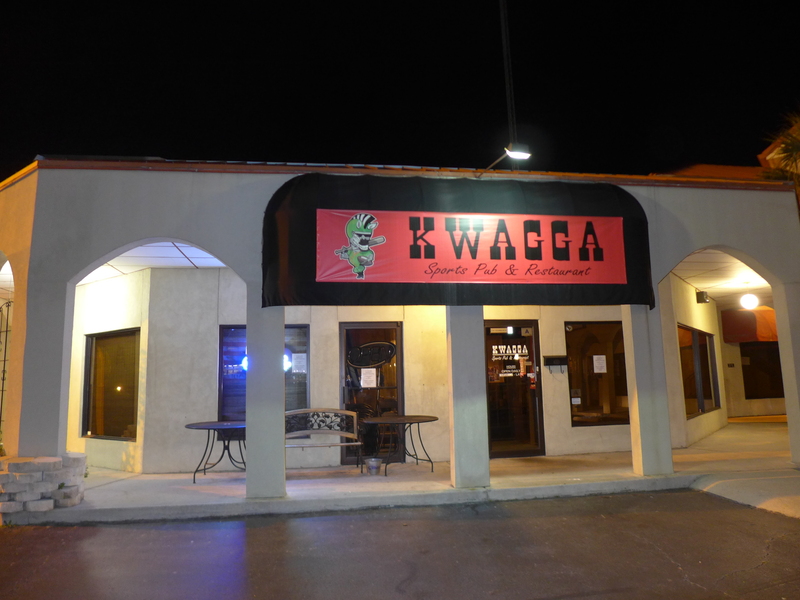 Kwagga is apparently the Afrikaans name for the Quagga, an extinct South African Zebra, and the place itself is now extinct as well. This was the followup operation to The Puddlin' Duck, and commenter Joelc who notes that it was a nice place, but suffered the same problems as The Duck with the location. 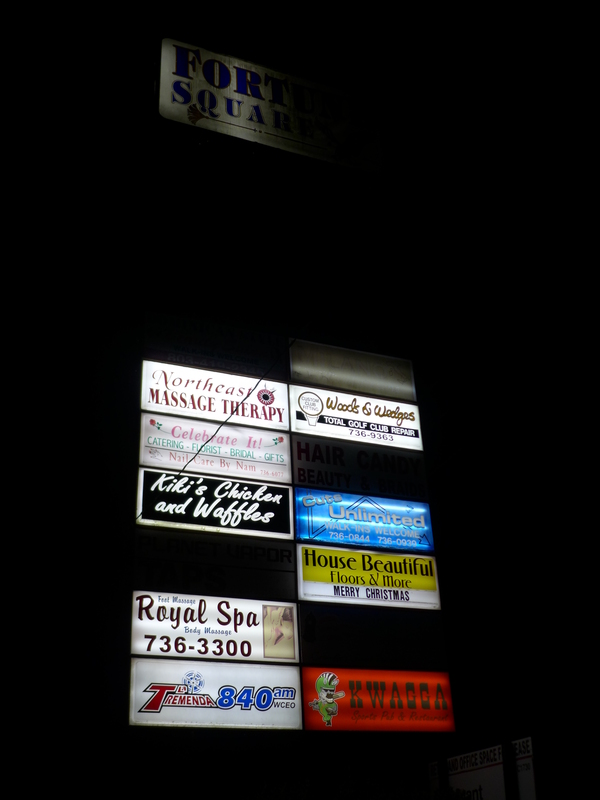 It wouldn't hurt Fortune Square to buy some light bulbs. 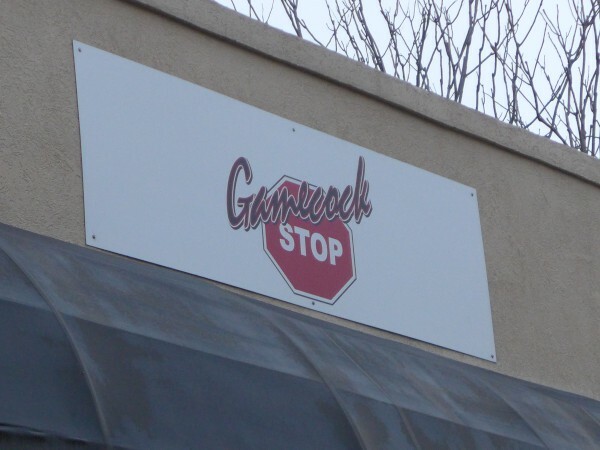 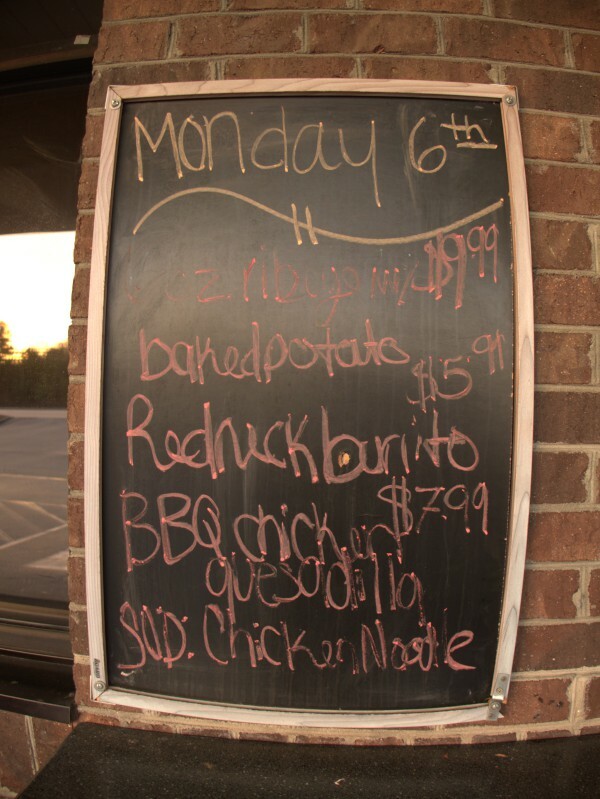 I first became aware of Gamecock Stop when it moved into the old Chippendolls location on Rosewood, and in fact I did a closing on it when it did a semi-move within that space. 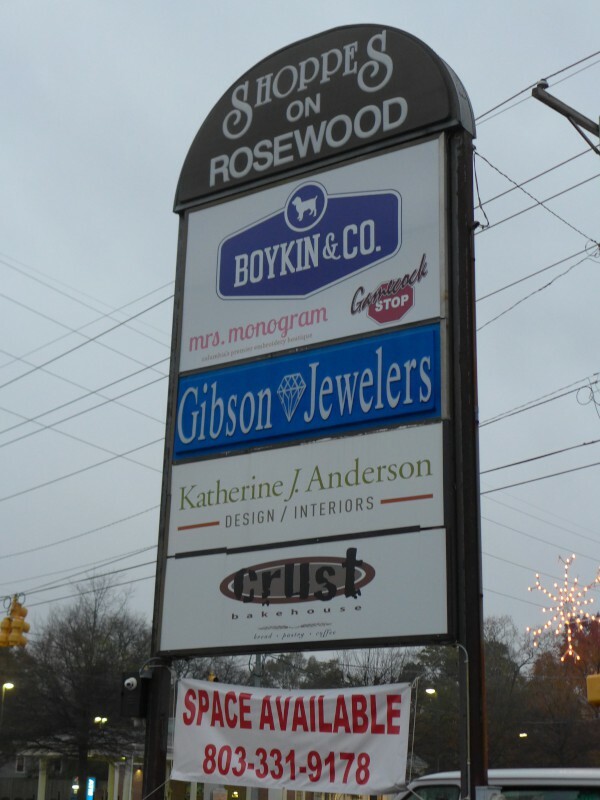 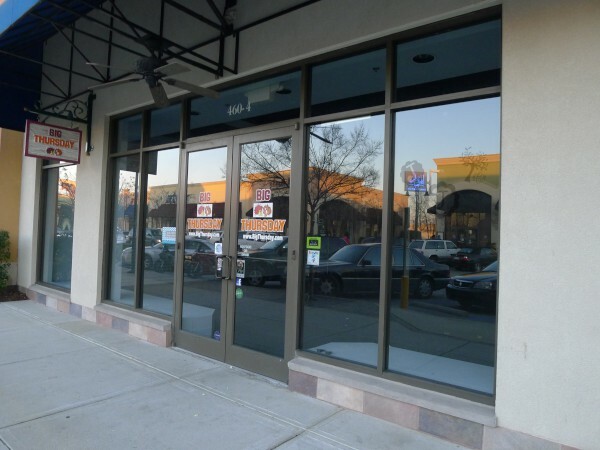 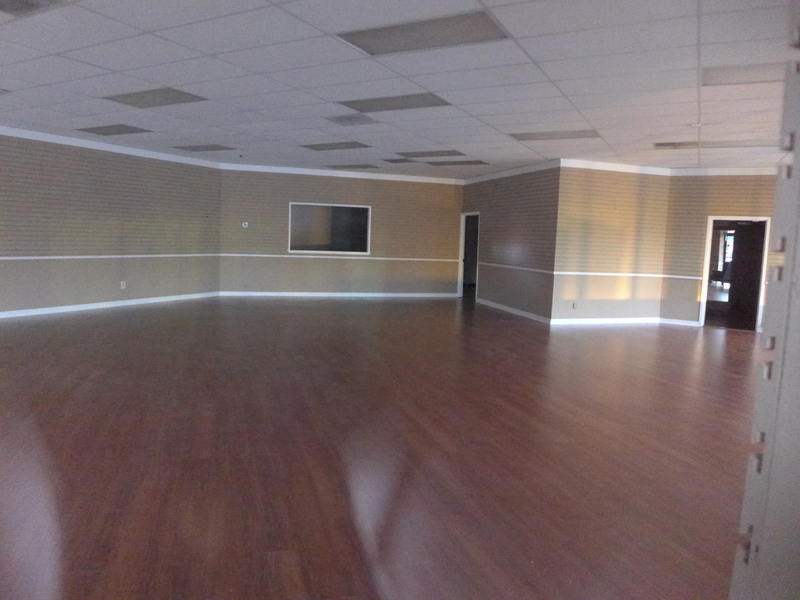 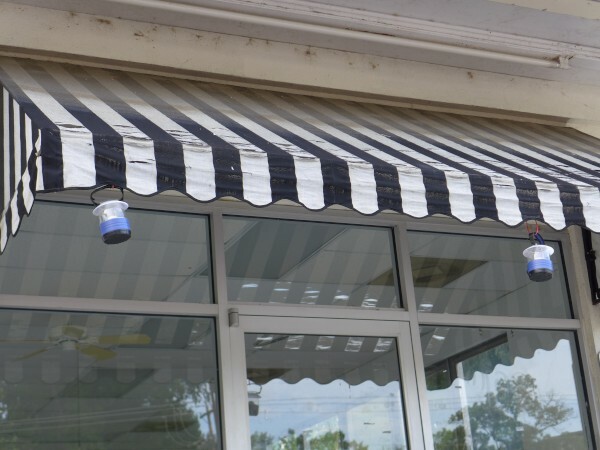 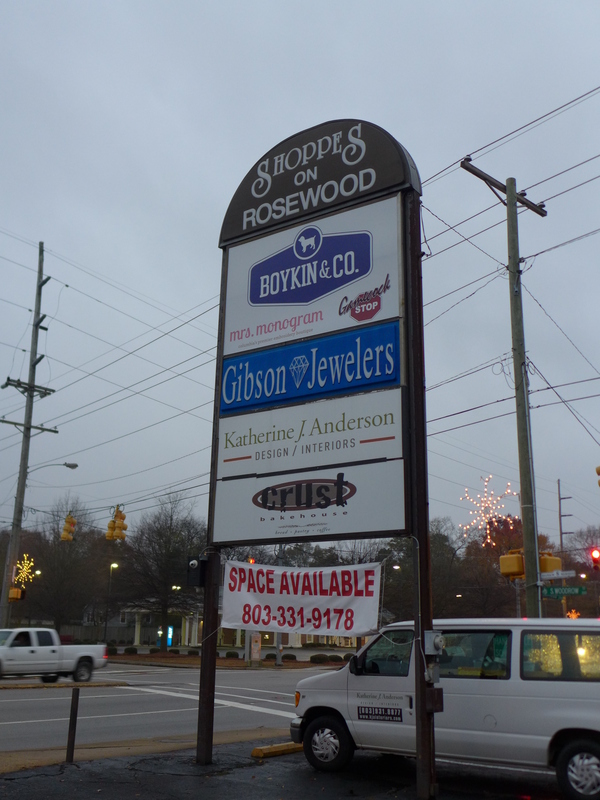 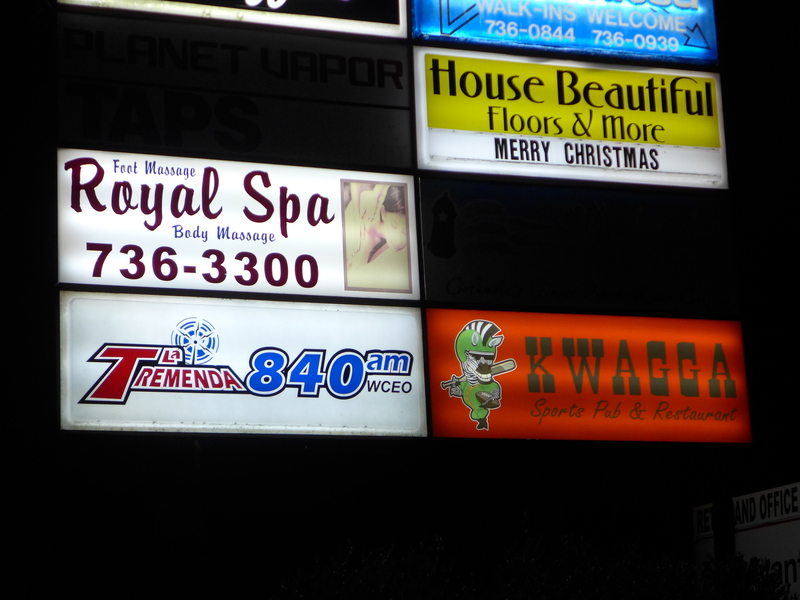 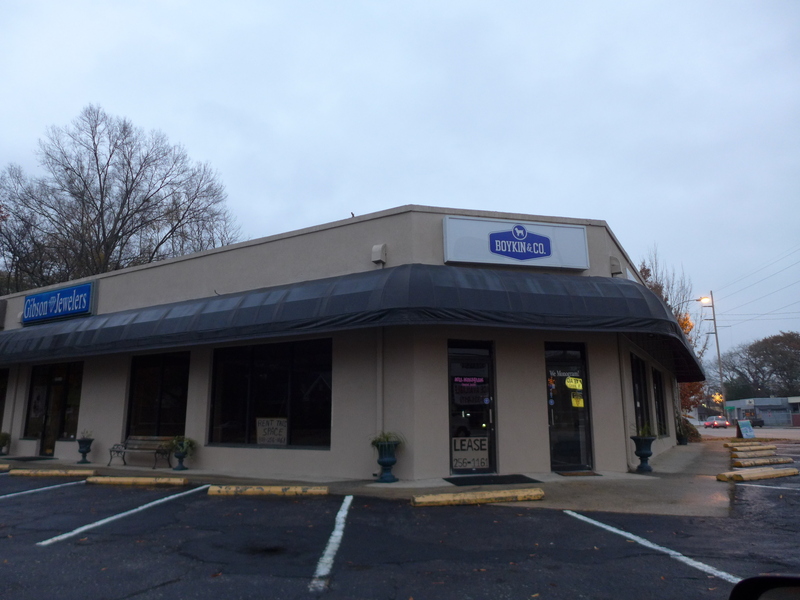 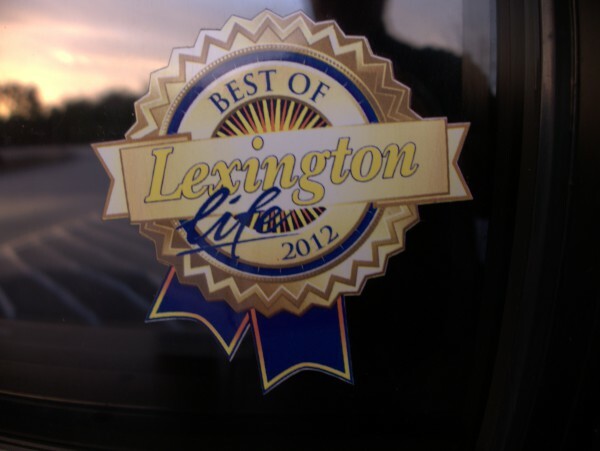 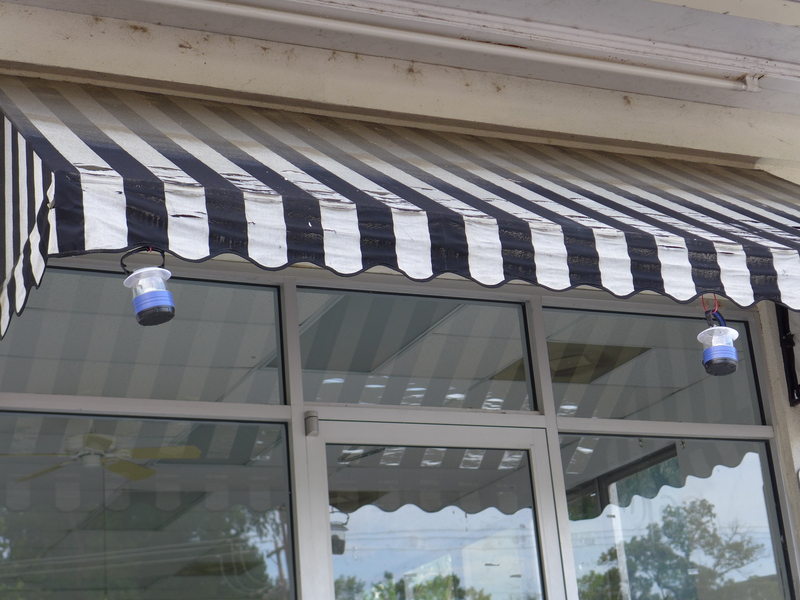 After that, they they moved up Rosewood to 2701, a location for which I have done a number of closings. 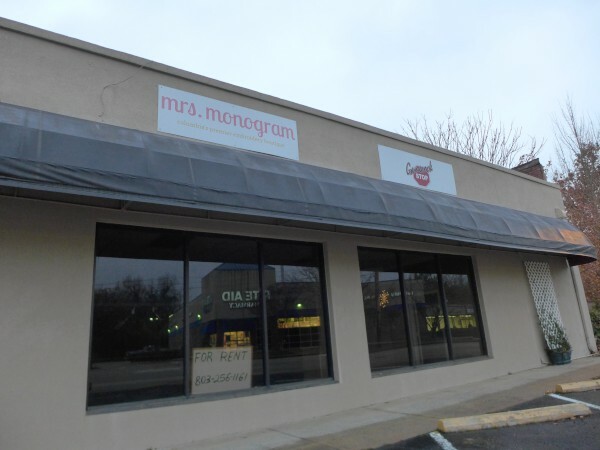 At some point after they moved, both Mrs. Monogram and Boykin & Co started sharing the space. 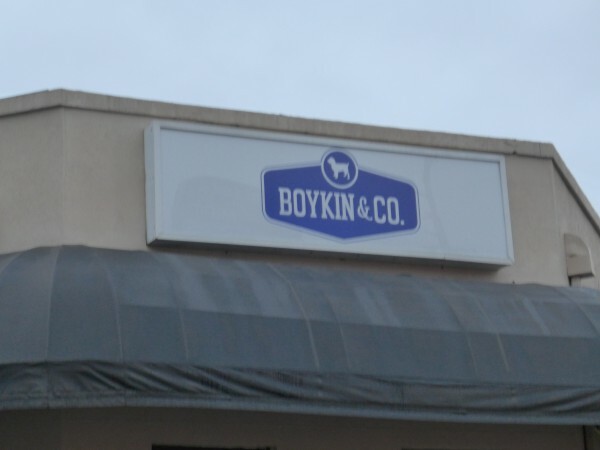 I guess it's clear enough what Mrs. Monogram did, but I am unsure exactly what Boykin & Co, which had top billing in the final configuration, was. 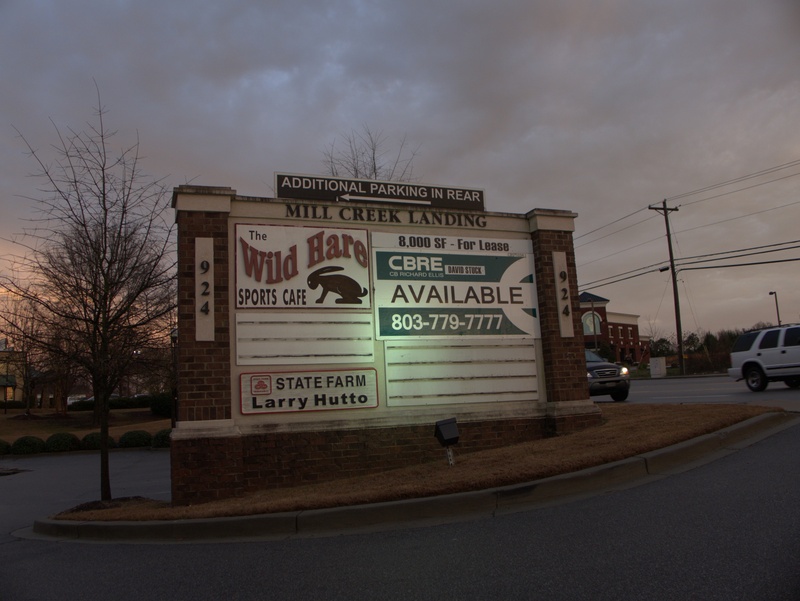 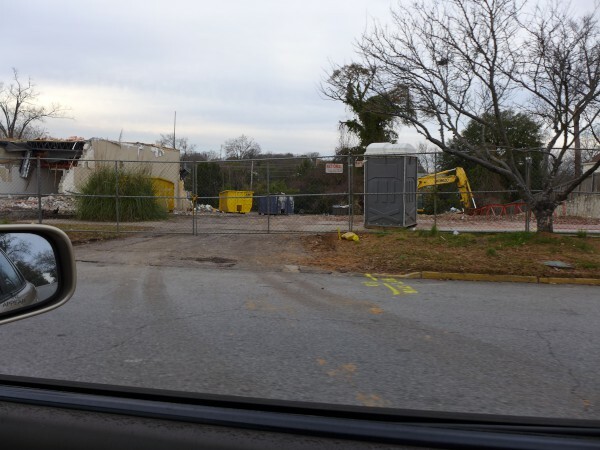 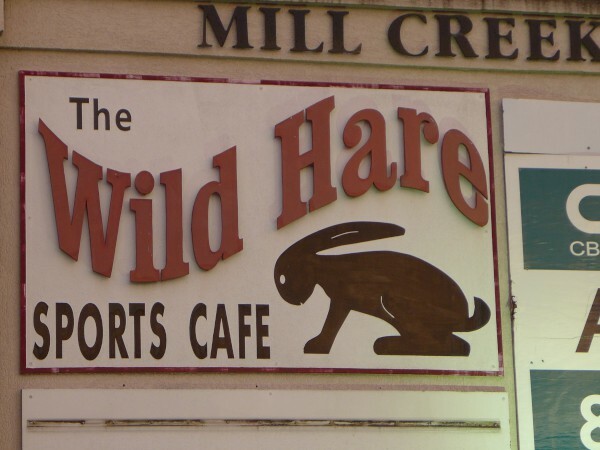 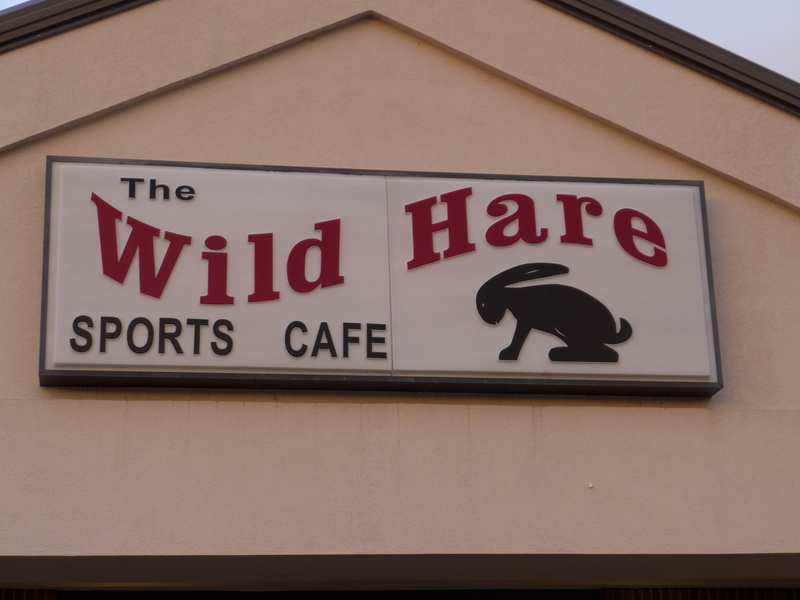 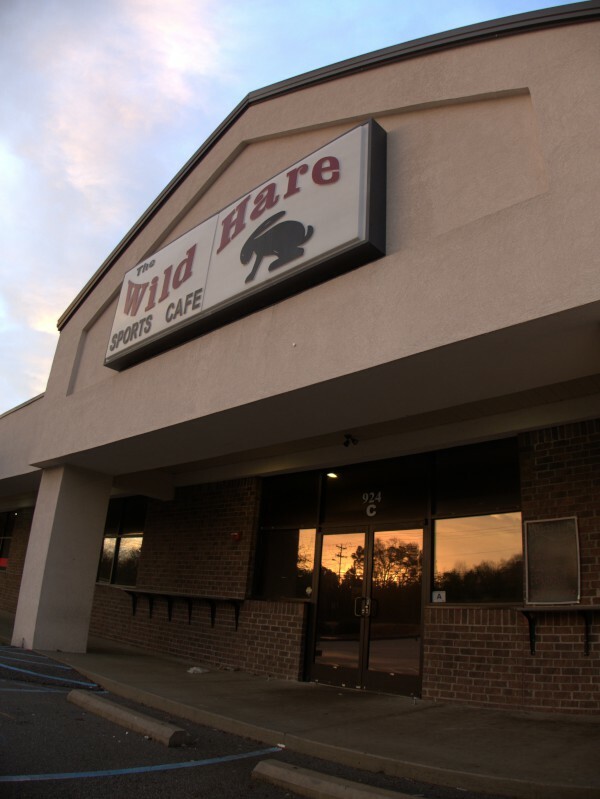 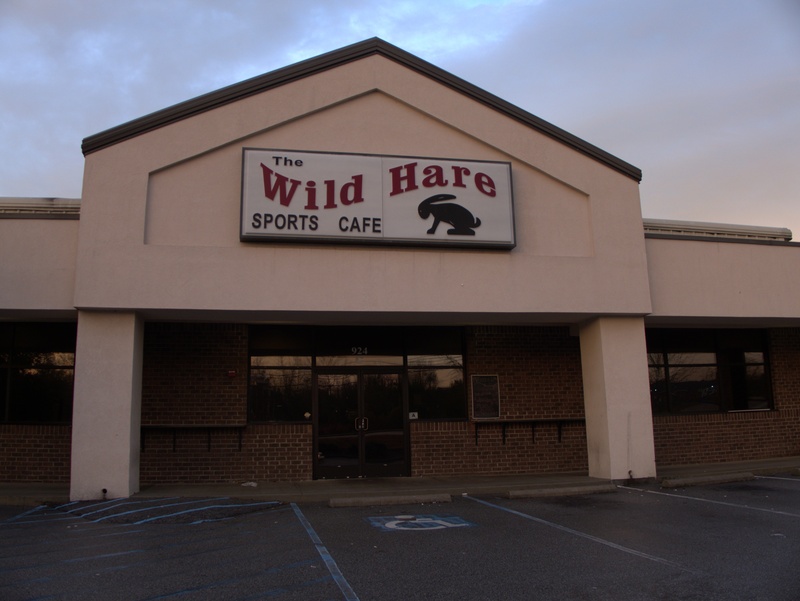 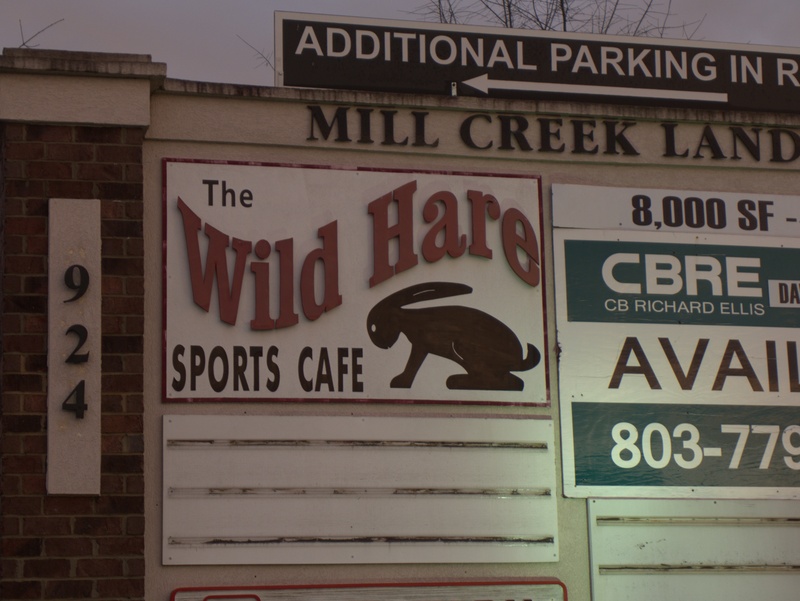 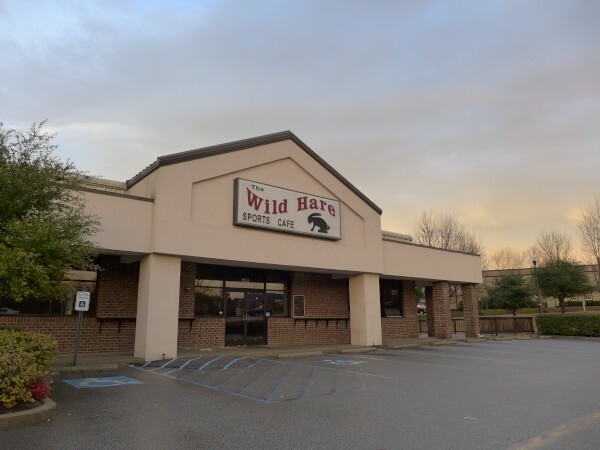 Based on the available evidence, it appears to me that Monday 6 January was the last day of operation for the Lexington Wild Hare, on US-1 north of I-20. 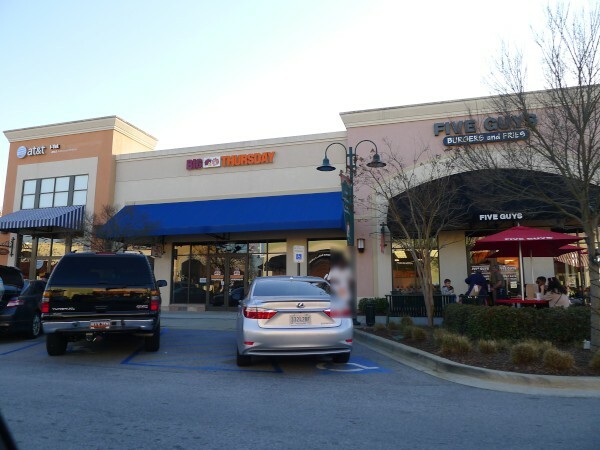 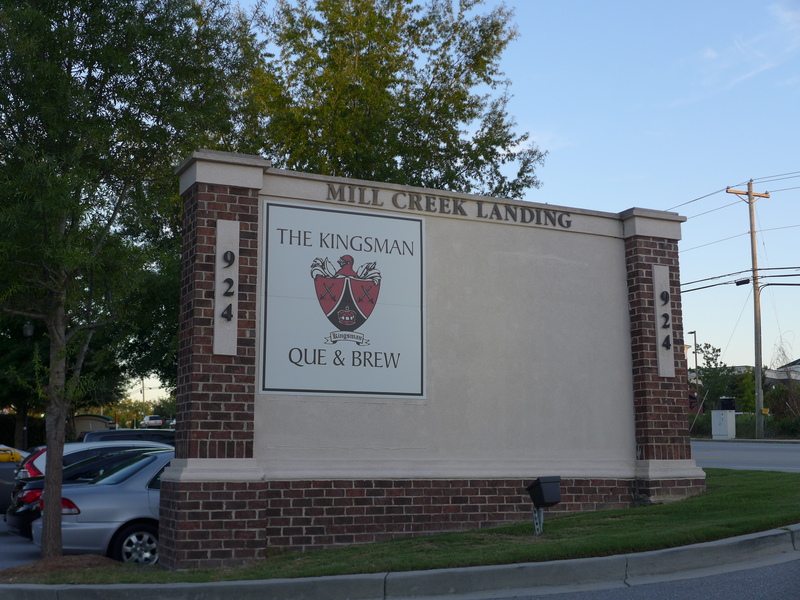 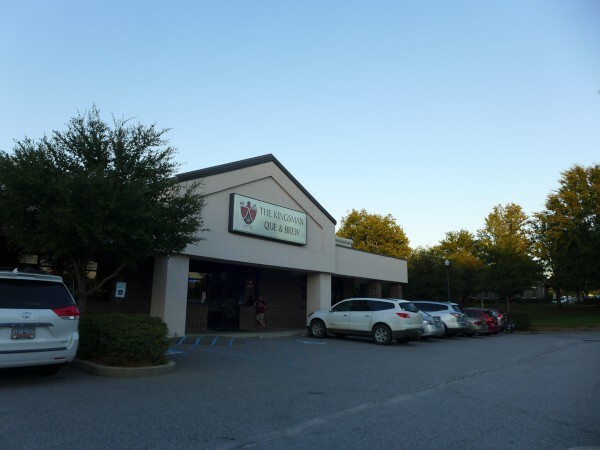 This closing leaves the chain with two restaurants: one in the Vista and one on the Western segment of Bush River Road near the former Irmo Kmart. Sportings goods store Todd & Moore has been a fixture on O'Neil Court for seemingly as long as I can remember. 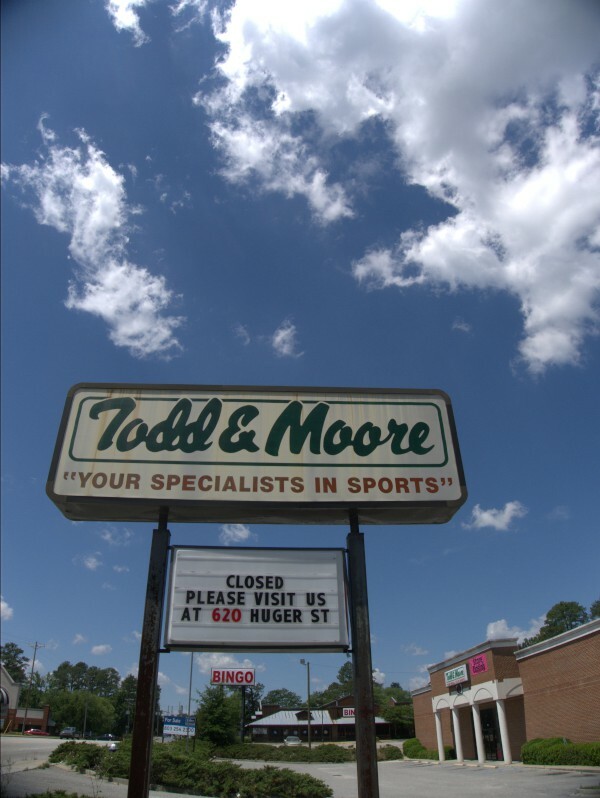 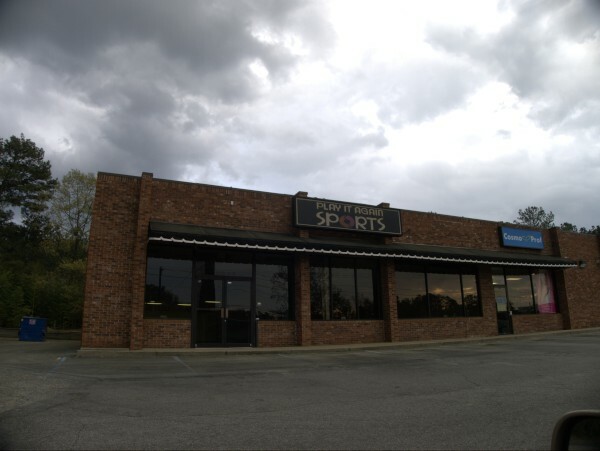 It's not a place I've ever been in because, well, to say I'm not sports oriented is perhaps to understate the matter, but believe my mother got the one tennis racket I ever owned (wooden, with a wooden press) from here, or from some Todd & Moore location at any rate. 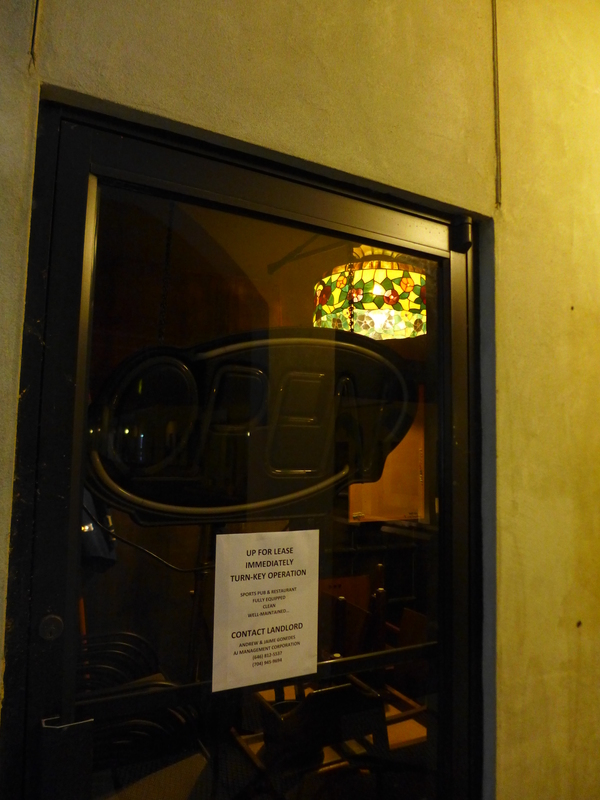 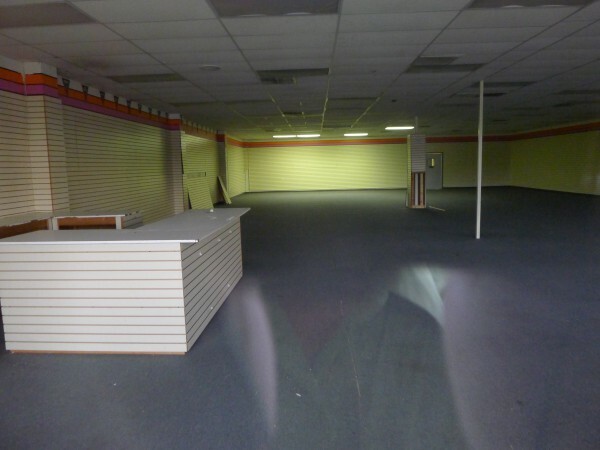 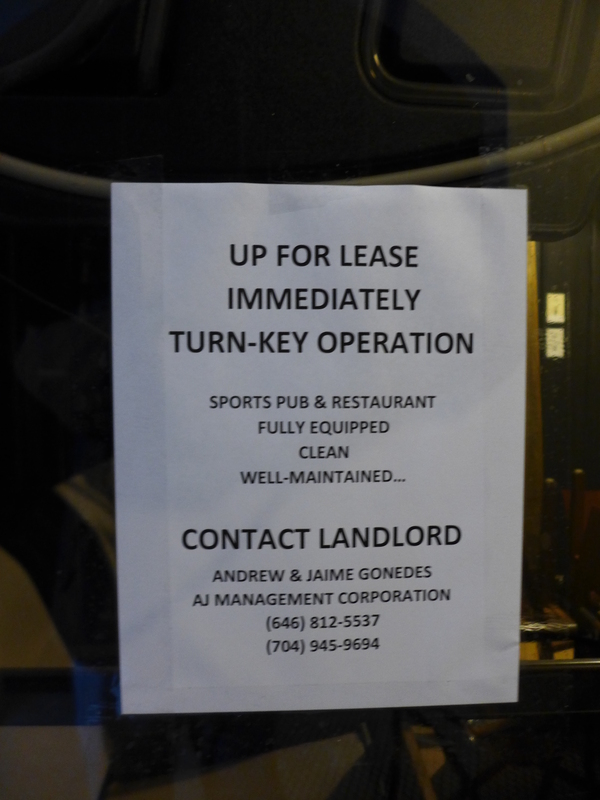 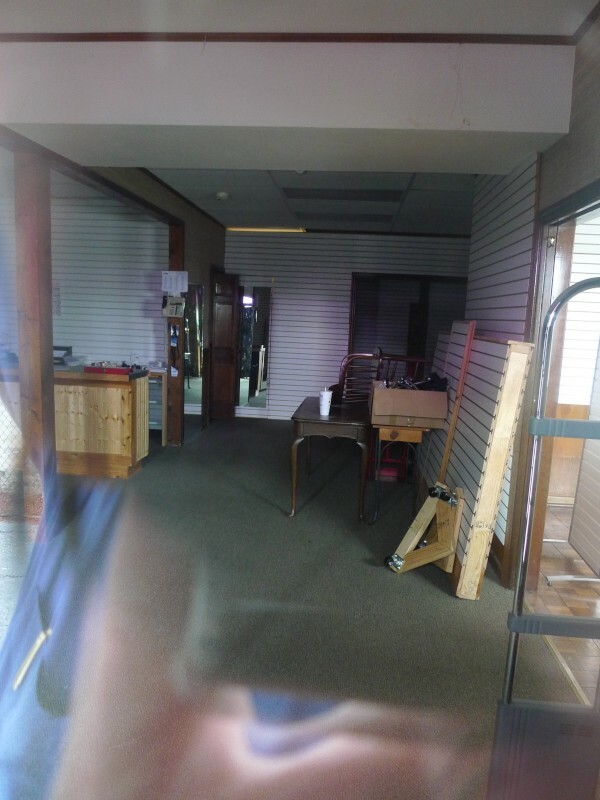 Here is the original State article announcing the protracted closing of the O'Neil Court store, which started in January, as seen in the first couple of pictures below (taken on a rainy night) and finished up in late March. 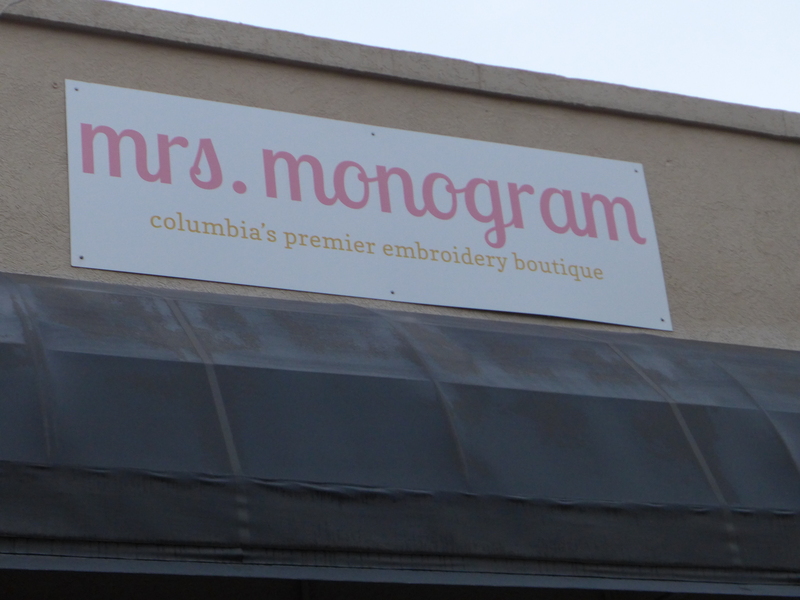 Yes, there are too many pictures -- I'm a sucker for clouds. Also notice that the New Balance marquee got taken down at some point. 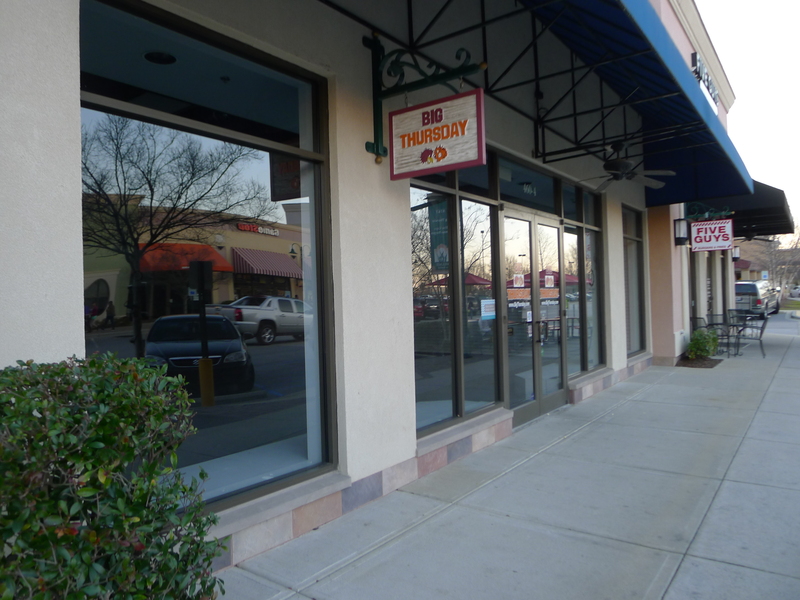 I noticed the other day that the eastern-most storefront in Tillman's Plaza was empty. 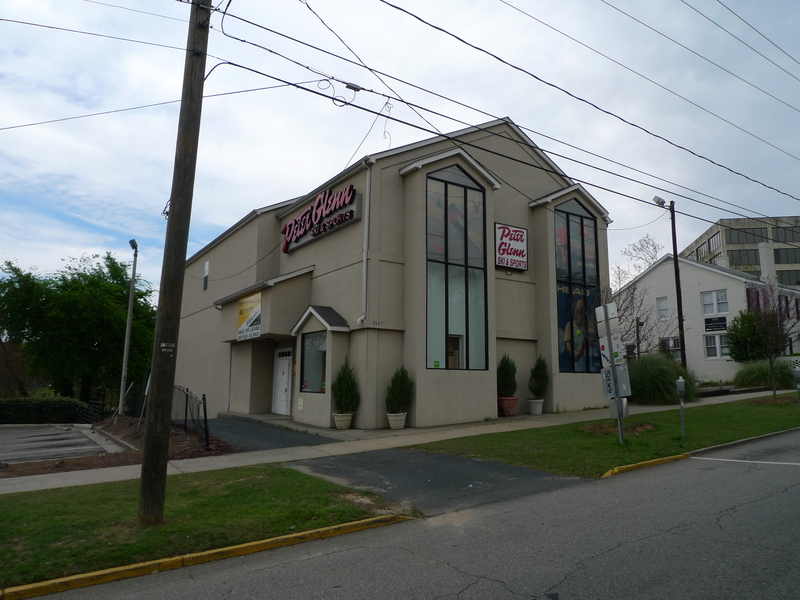 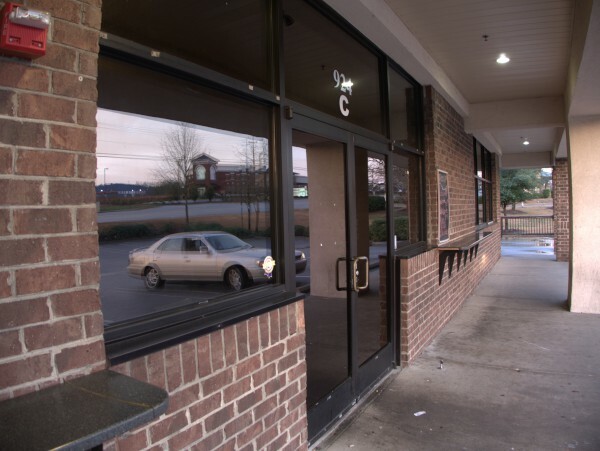 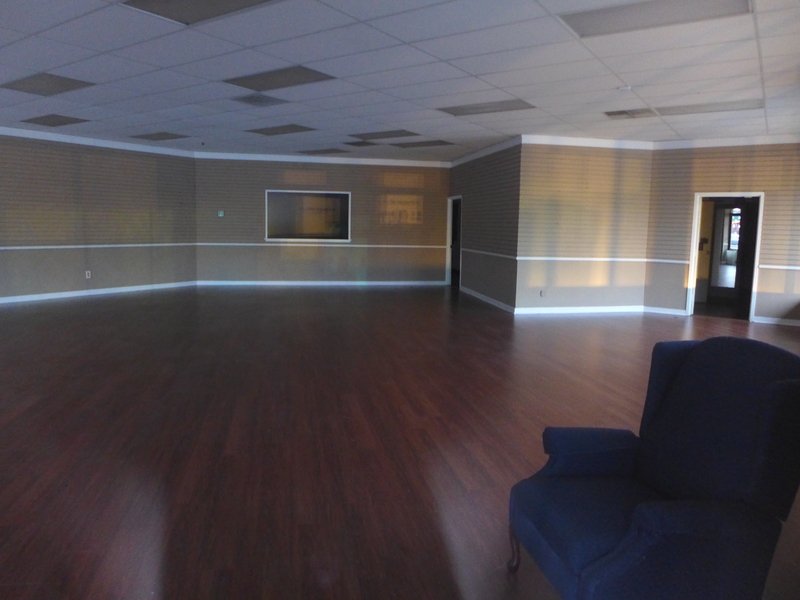 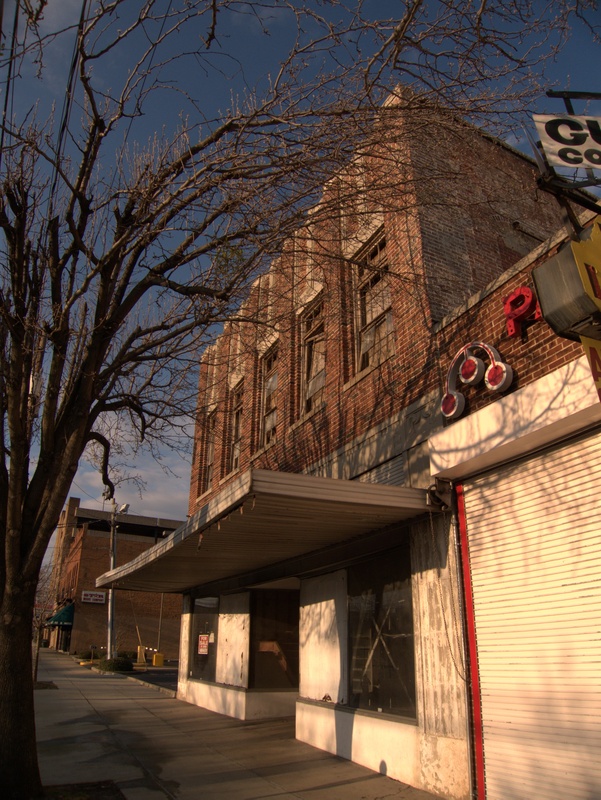 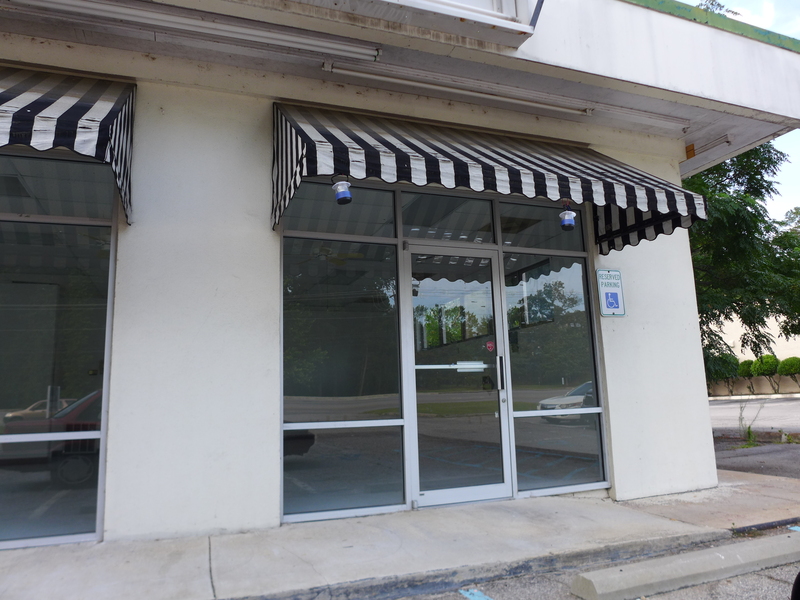 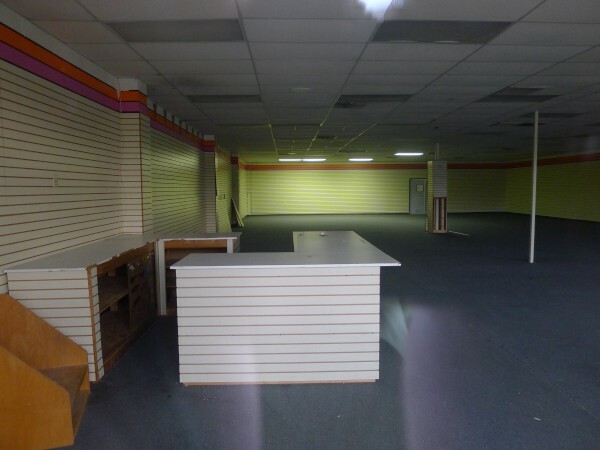 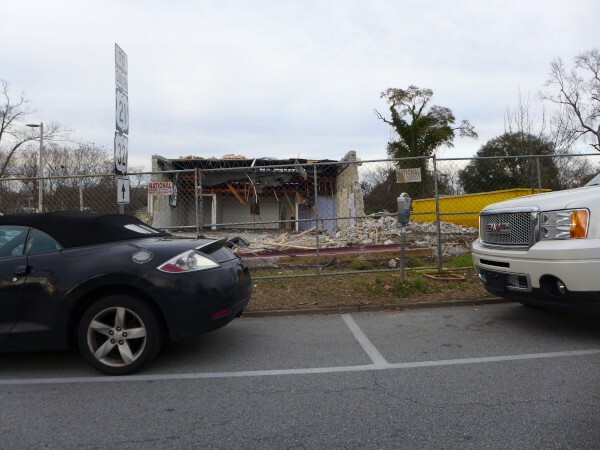 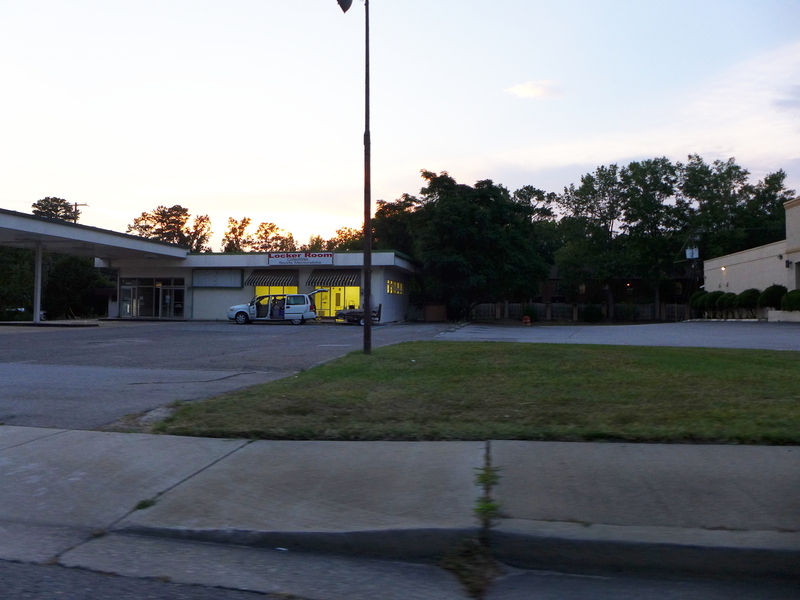 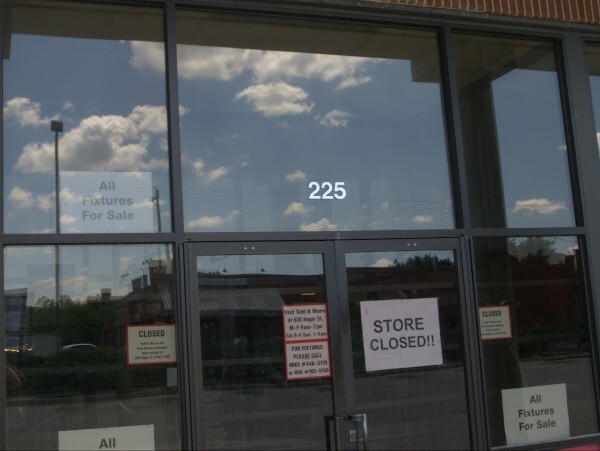 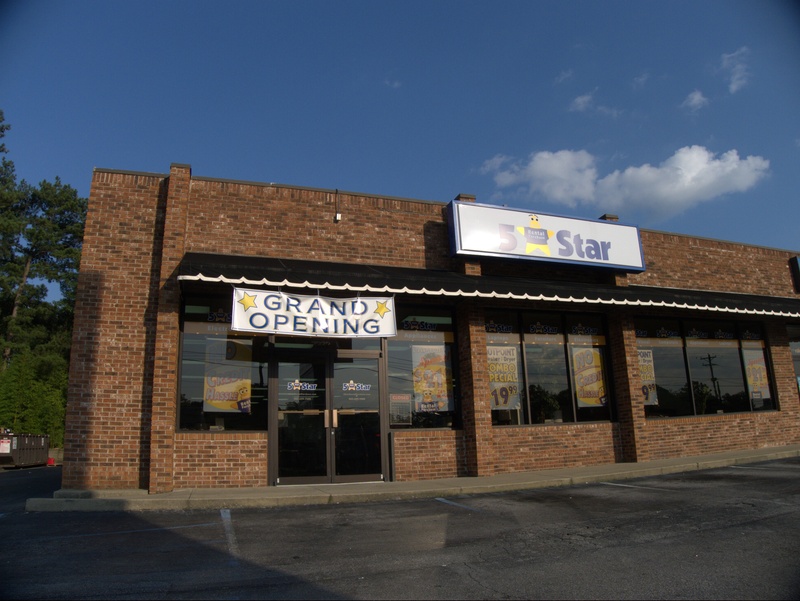 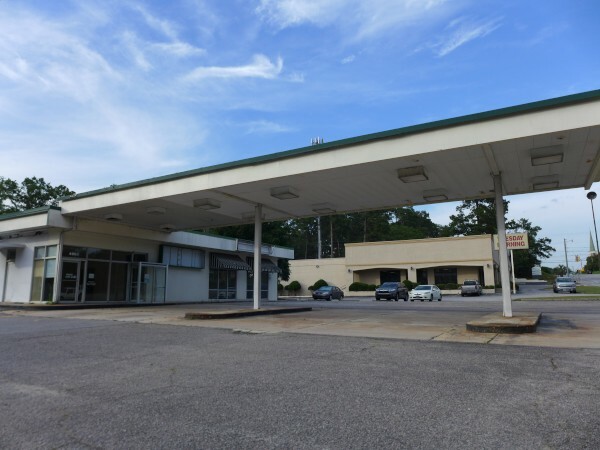 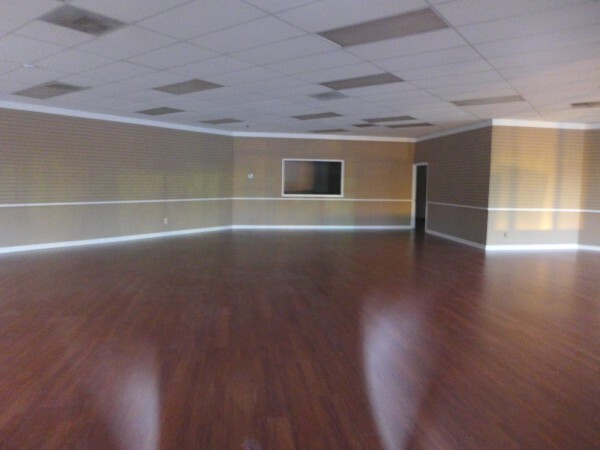 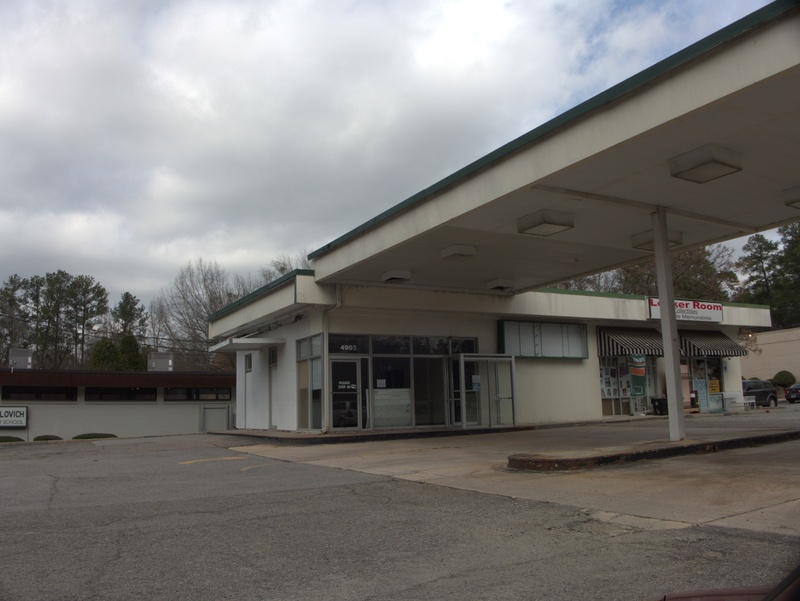 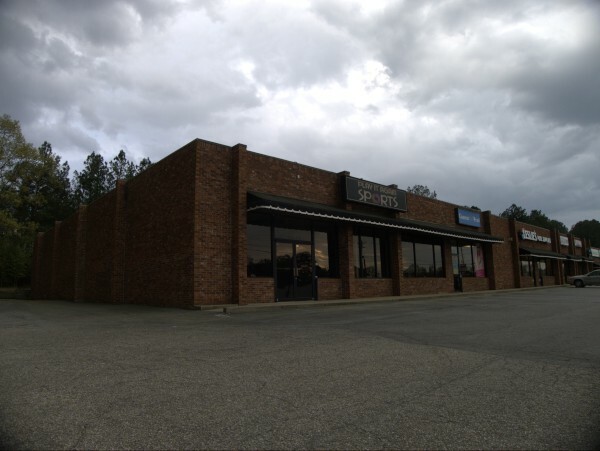 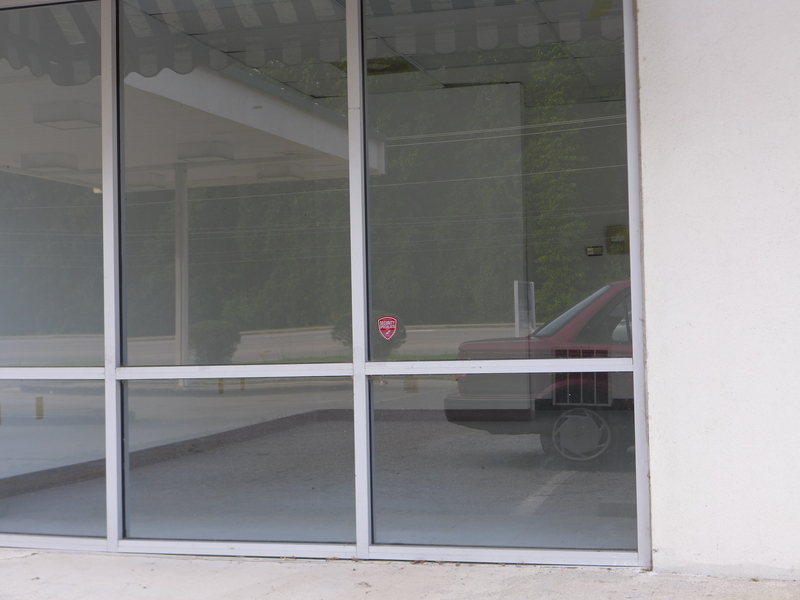 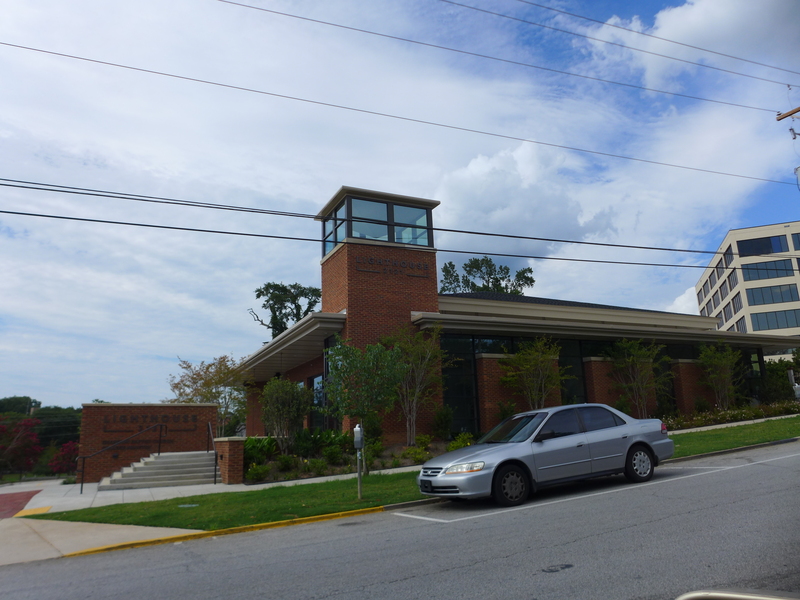 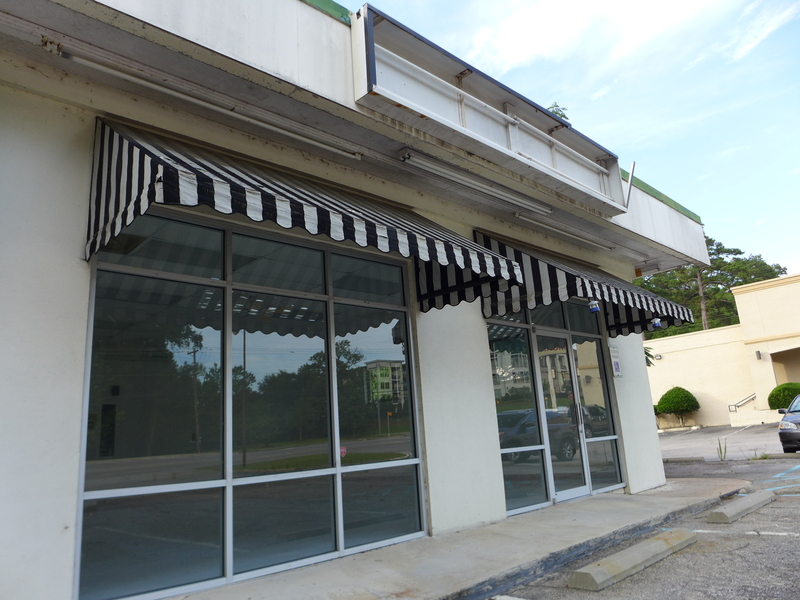 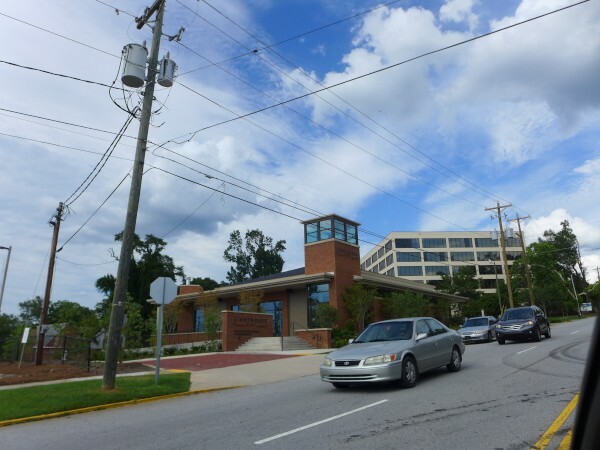 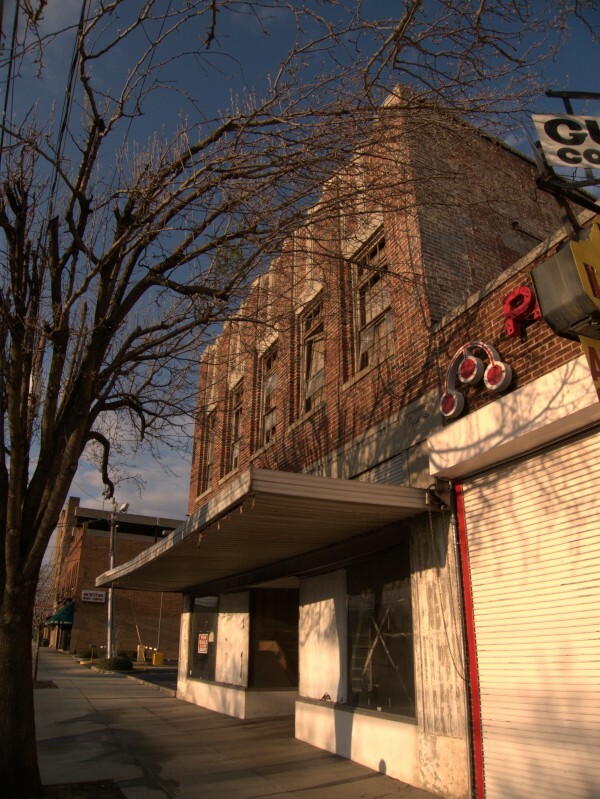 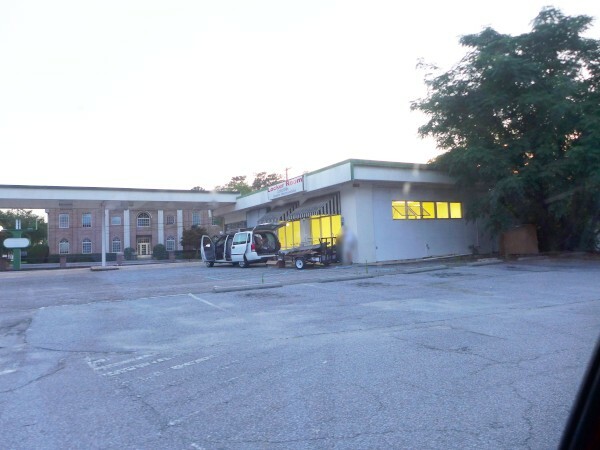 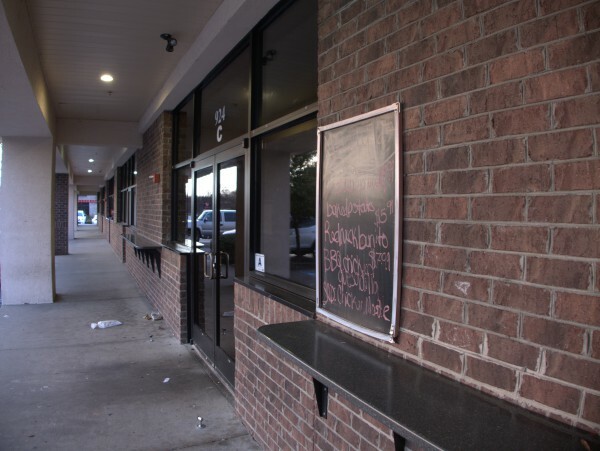 I've written about this building before, as it was the last location of The Byte Shop, one of Columbia's first computer stores. 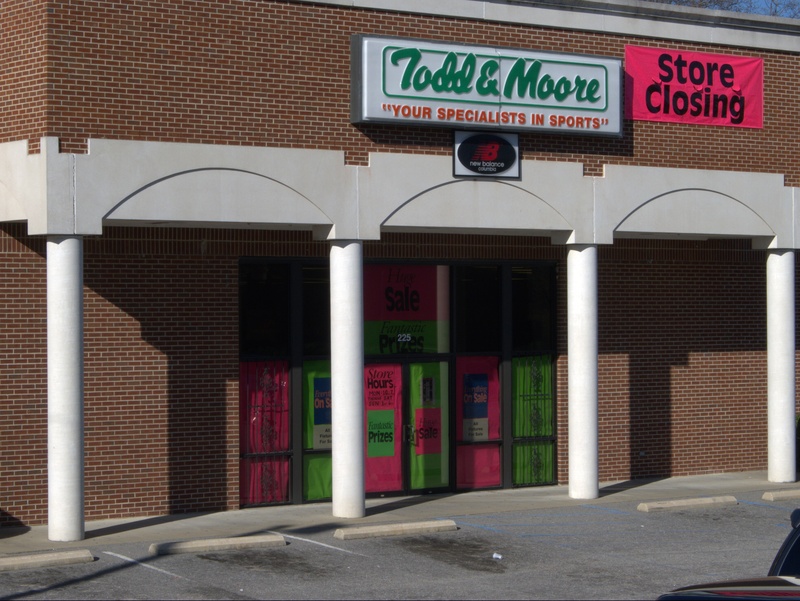 The first picture above comes from that closing. 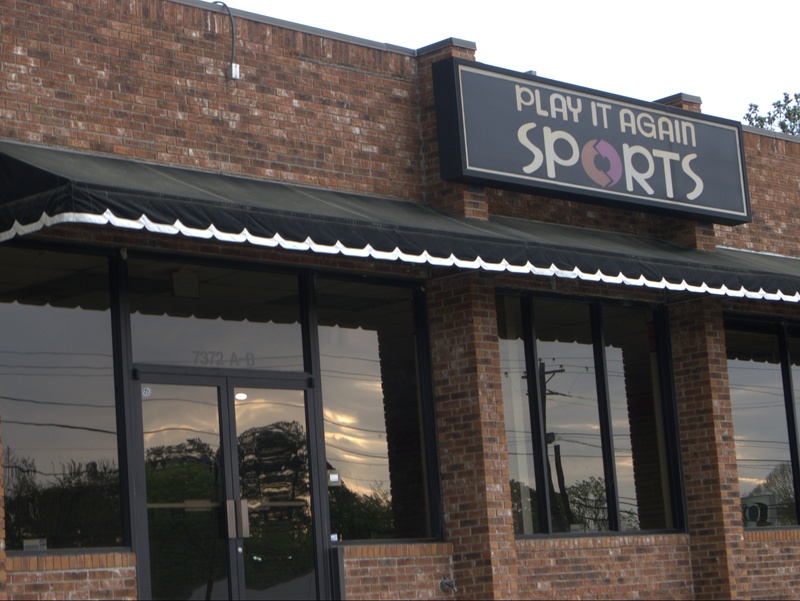 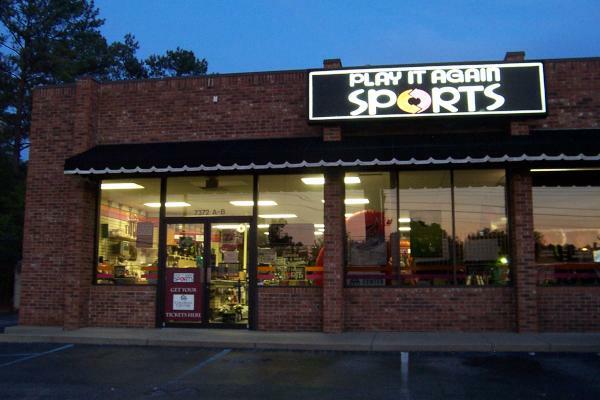 There is a Play It Again Sports on Bower Parkway, but I don't know if it moved from here. Howards Sports occupied a rather unusual building on Lady & Assembly Streets. 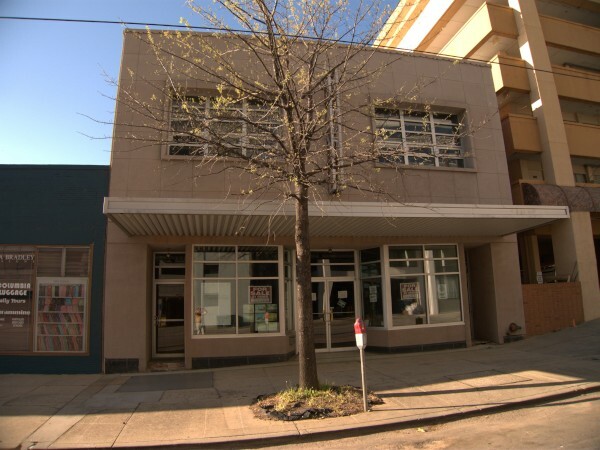 It's unusual in that it has a frontage on both streets, but is not a corner building, but instead wraps around behind Moe Levy's (which is the corner building) and Reliable Loan Office. 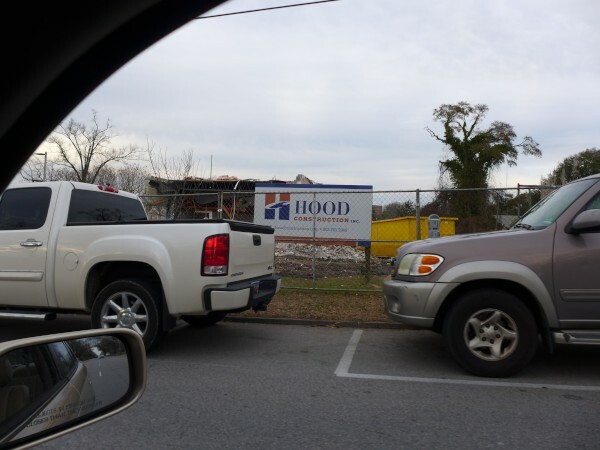 As far as I can tell, Howard's identified itself only with the Lady Street address, but the Loopnet listing specified both addresses. It's definitely an interesting building even aside from the shape, brick with three levels, murals on the north side and a corner stair-case. I'm saying 2005 for the closing date, as the business license in the window was for 2004. 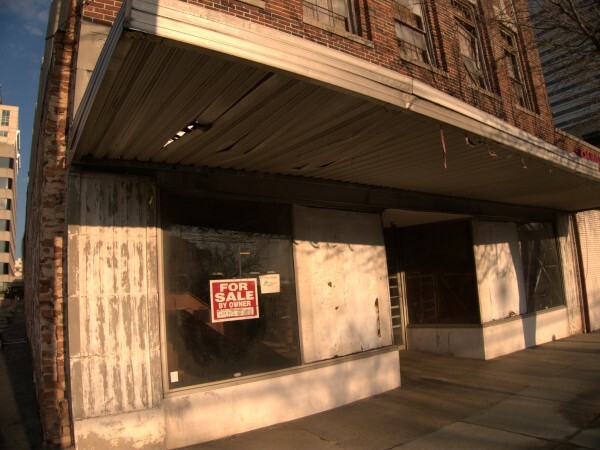 Interestingly though, there is a 2010 license pasted below that, and the Loopnet listing above claims the building is now off the market, though it was still plastered with "For Sale" signs when I took these shots on 14 Feb 2010 and 10 April 2010. 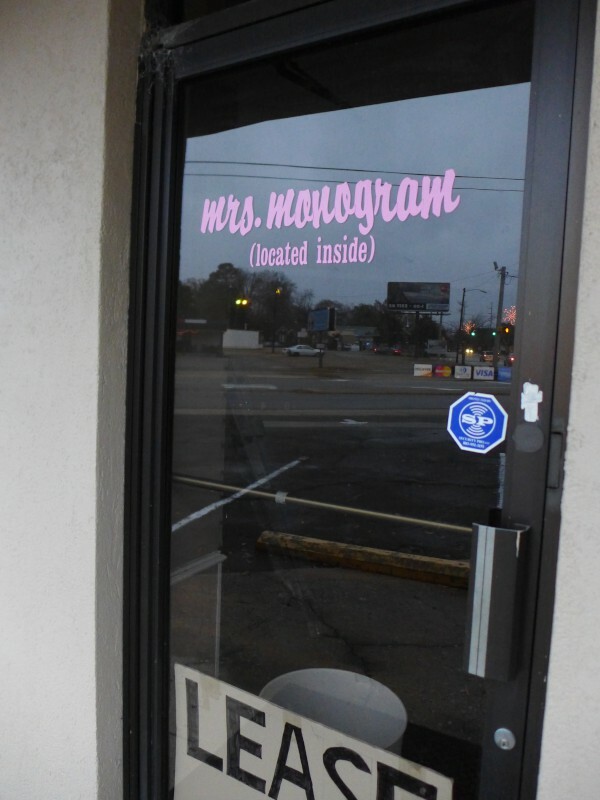 (I see references to the name both with and without an apostrophe -- I'm going by the signs in the window and leaving it out). 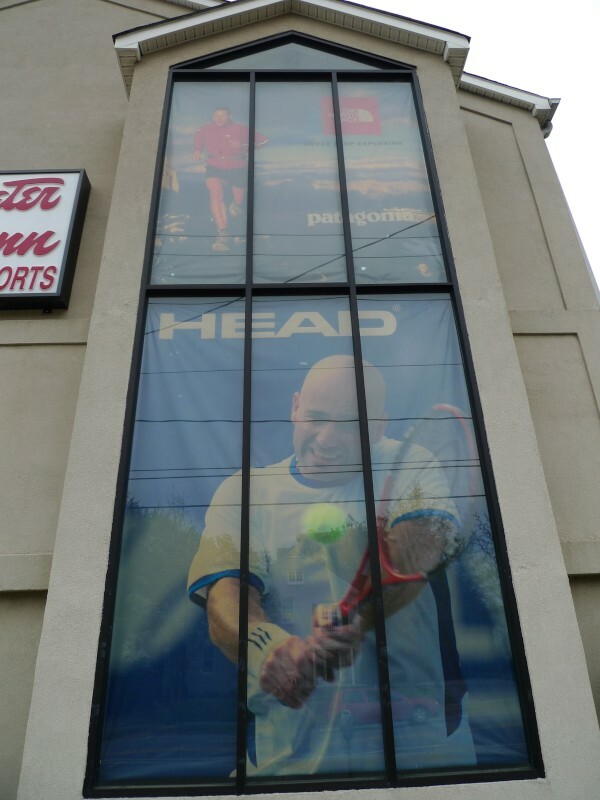 I noticed on the electronic sign you see when you're at the Harden Street light heading downtown on Gervais a month or so ago that Peter Glenn Ski & Sports was going out of business. 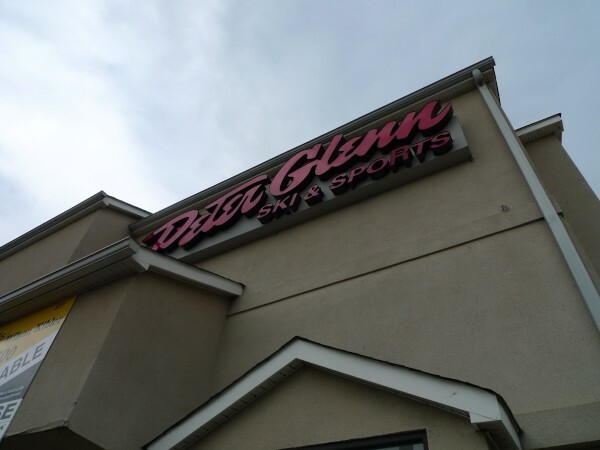 The only time in my life I've even almost gone skiing was in, I think, ninth grade when we had a class trip to a North Carolina slope but I got sick and had to give my place to a cousin. 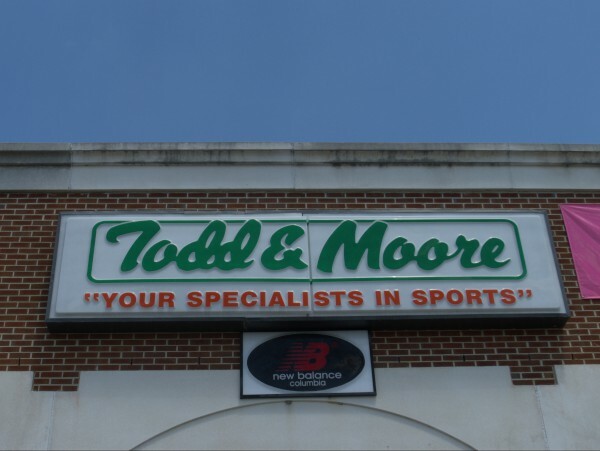 It's probably just as well as I'm sure I would have broken something. 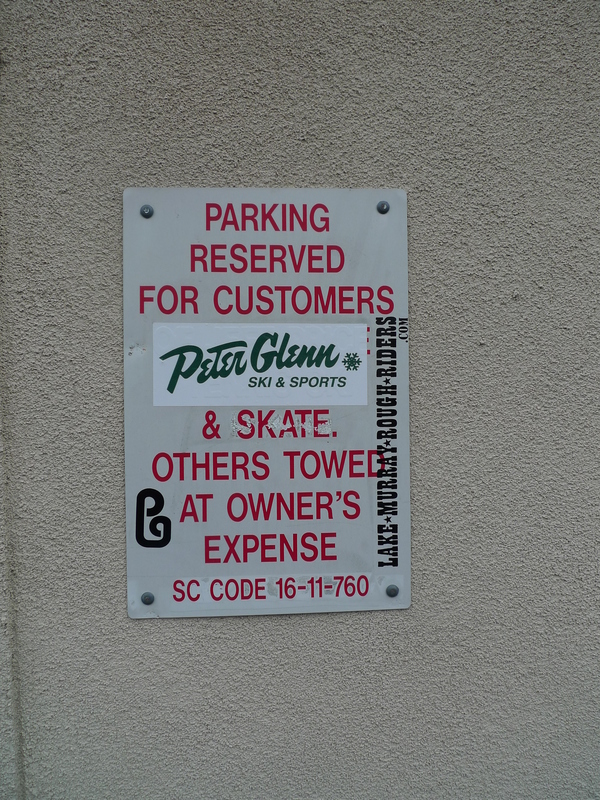 All that is to say that I never went into, or considered going into, Peter Glenn. 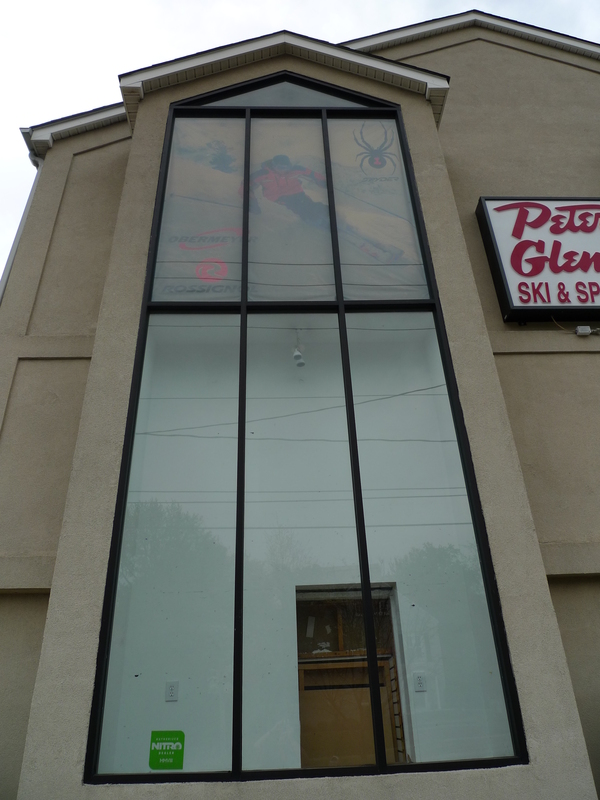 The window "murals" were nice though! 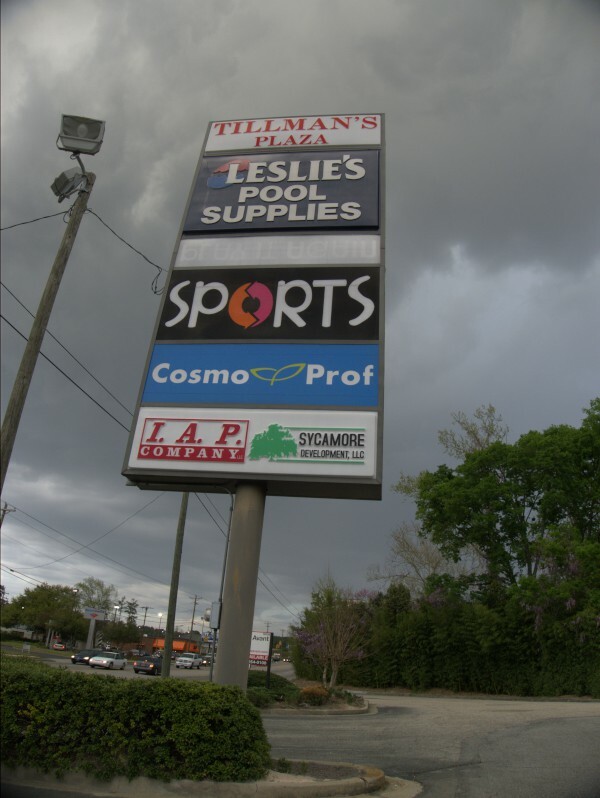 UPDATE 16 April 2009: Commenter Brian notes that this place used to be "Jeff Price Tennis & Ski". 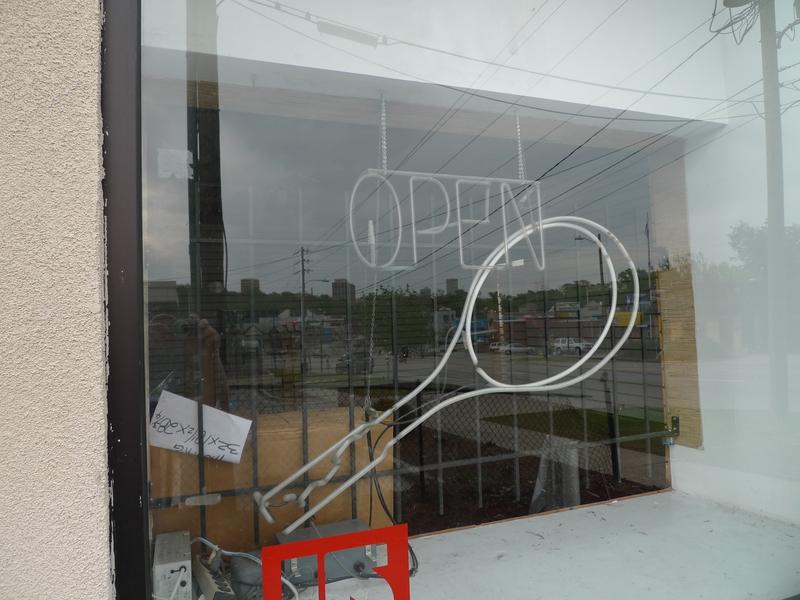 I have updated the post title to include that. 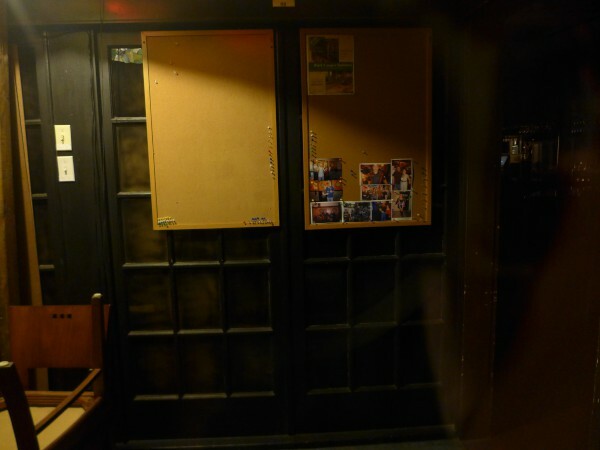 He also notes that the last day of "Peter Glenn" was probably 8 March 2009, and I have made that update to the post title as well. UPDATE 13 May 2010: Rearranged Post title to put "Jeff Price" first, and added the "& skate"